Blame is simply the discharging of discomfort and pain. Her point is that our focus on finding someone responsible is really a way of avoiding the messy truth of events. We blame individuals because it gives us the illusion of things being more controllable than they really are – a fantasy most of us are hopelessly lost in most of the time. We need someone else to have ’caused’ our problem, because that’s a neat, wrapped-up thought that appears to do the job of providing an “answer” – which is really what we want. Dr Brown’s website is worth a gander: http://brenebrown.com. “Maybe stories are just data with a soul,” she says. I prefer to think of it the other way around. Maybe data are stories in search of a soul. Sometimes there is a direct, proportional relationship between album sales and the need to throw up over the recording artist. Exhibit No1: “Soul Provider” by master long-hair-at-the-back exponent Bolton. See how I took the cold, raw data of album sales there and injected some soul (and bits of my breakfast) into it? Which is where qual comes in. 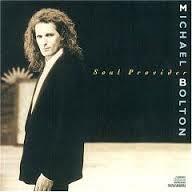 Like barber-worrying soft crooner Michael Bolton, we are perhaps “soul providers”. Actually, I hope nothing like Michael Bolton, as having analysed his work, I’ve found every last note of it to be total pants. I seem to have lapsed into blame again. It is, as Chicago once put it, a hard habit to break. I am not here to cheer you up. A line I never tire of repeating, if only in my head. This entry was posted in 21st Century Britain, Qual Research, Society and tagged culture, pop culture, RSA, Social Sciences, society. Bookmark the permalink.